Schooling: attended K-3 at Litchfield Zion Lutheran Grade School. Attended Gillespie Illinois Grade School and graduated from Gillespie High School with the Class of 1968. Church: A member of the Trinity Lutheran Church, Litchfield, Illinois. Occupation: Retired from Boente Shell, Carlinville, Illinois in June 2018 . Previous employment at Jeep Niehaus and Sons, Mt. Olive, Illinois. Military: Served in the National Guard for 6 years. 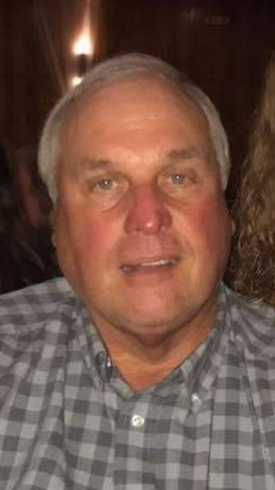 Interests: Loved Farming, family and tractors // His dog Danny // Country music, especially the song "Waterloo" by Stonewall Jackson // Gospel music //Hornsby Clipper lawnmower race. Survivors: Wife: Peggy Lee Niehaus, Litchfield, IL //1 Son: Ryan (Susan) Machota of Staunton, IL // 3 Daughters: Jennie (Norm) Halpin of Carlilnville, IL, Amanda (Rob) Williamson of Edinburg, IL, Wendy (Fred) Harbison of Staunton, IL // // 9 Grandchildren: Christopher, Mason & Olivia Halpin // Reyna & Clara Williamson // Zander & Anna Machota // Nicholas & Hunter Harbison // 2 Brothers: Gary (Holly) Niehaus of Litchfield, IL, Dennis Niehaus of Butler, IL // 1 Sister: Brenda (Dennis) Cline of Litchfield, IL. Funeral Service: Thursday, April 4, 2019, 11:00 am Trinity Lutheran Church, Litchfield, Illinois. Lunch: for family and friends will be held at Turner Hall, Mt. Olive, served by the ladies of the Trinity Lutheran Church. Memorials: Mt. Olive Turner Hall // Food Pantry of choice // Trinity Lutheran Church, Litchfield, IL. Becker & Son Funeral Home, Mt. Olive, Illinois is in charge of arrangements.